The series one episode that was recently unearthed in the vaults of an American university (of all places) was supposedly never recorded - it went out live (11 February 1961). And stranger still, Steed is absent for the entire 50 minutes - the action is handled by Steed's then sidekick Dr Keel (Ian Hendry). All very odd, but "odd" and the Avengers go hand-in-hand. 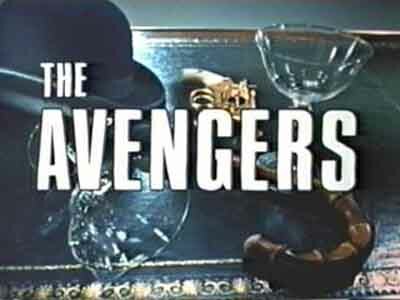 The Avengers ran in the UK for 161 episodes from January 1961 through September 1969. The show also sold to 120 countries around the world making it one of the most popular British TV series of all time. But why? Think style, glamour, action, humour, wit. 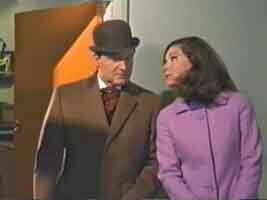 in fact, The Avengers was the living embodiment of stereotypical British eccentricity and class. It also possessed ingredient X - the indefinable magic that enables films and TVs show to transcend their age. The show started out as a fairly simple cops and robbers-style production, slowly evolving into the slightly obtuse gem of its heyday pairing of John Steed (Patrick Macnee) and Emma Peel (Diana Rigg). Steed, the one constant of The Avengers, changed with the show, his hard edges from the early episodes being slowly polished off so by the time Mrs Peel replaced Gathy Gale as his tough-woman partner he had been transformed into the ultimate cool spy. 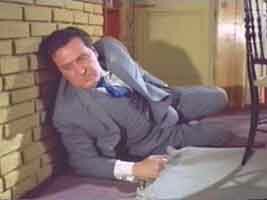 But what really makes the programme's Golden Age so endearing is the chemistry between Steed and Emma. 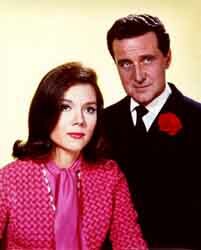 Interestingly, some of their sharply observed banter was actually written by Macnee and Rigg. The show is now owned by French company Canal+ which has just started to release the series on DVD here in the UK. A welcome addition to anyone's collection, The Avengers is still winning over new fans and finding new audiences. Not bad for a programme that is 40 years old. but then real style is timeless.